Welcome to the beautiful Oldham Springs in Sevierville County, Tennessee. This area has the best of both rural vacationing and proximity to bustling nightlife in Gatlinburg. Spend the first few days of your vacation exploring the nature of the area. Visit state parks and traverse their beautiful hiking trails. It is rumored that some of the trails in the area lead to majestic hidden waterfalls. After exploring the breathtaking nature in the area, it will be time to hit the city. Downtown Gatlinburg is flush with fun and exciting activities for guests of all ages. If you are traveling with children spend your days in the city playing miniature golf and racing go-karts. If your trip is more adult themed spend your time in Gatlinburg touring distilleries and wineries in the area. Whether your looking to spend your vacation in nature or in the city of Oldham Springs and the surrounding areas are the perfect vacation destination for you. 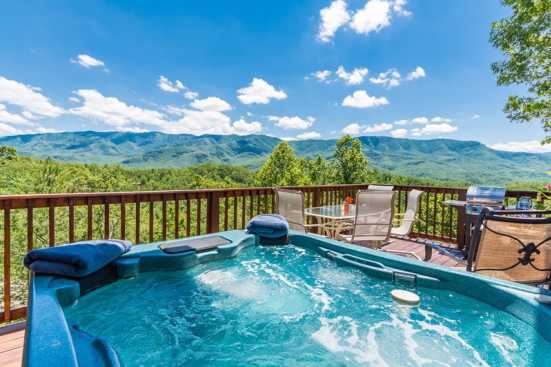 Smokymountainsbyowners.com is the best and most efficient way to find, plan, and book your vacation rental property in Oldham Springs, Tennessee. From the beautiful hiking trails to the bustling city of Gatlinburg, guests of all ages are sure to have a blast. SMBYo.com aims to take the hassle and stress out of planning and booking your vacation rental property, so all you must do is decide which adventure to partake in first. Book now, you won’t regret it!